Cycling away the excesses of Christmas? With Christmas over, and all the excess that comes with it – we’re looking at you cheeseboard! – the yearly dash to attempt to shift the scales back in your favour has begun and for many the easiest most accessible choice is to get back on the saddle, we’re not talking horses though, we are of course talking of bikes. 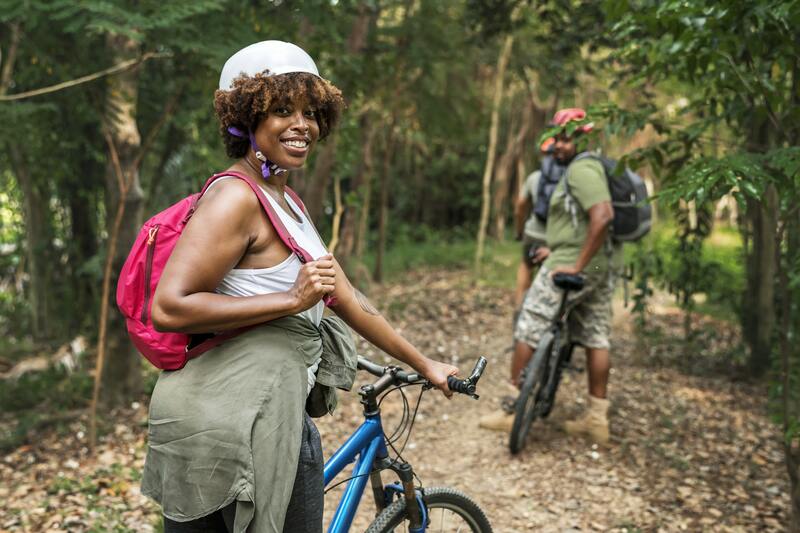 With the mild winter and bright, yet still pretty crisp weather, this year more and more of us are taking to the outdoors early to kick start our year and burn off those unwanted extra calories. Sadly, and we don’t want to take the wind from anyone’s sails here, but with cycling we see a number of common injuries that arise and need to be looked at by ourselves in our osteopathy clinic. As an osteopath we know that along with cycling comes the sometimes inevitable injuries that can cause seriously painful issues if not approached in the right way. If these are not spotted early then they have the tendency to keep coming back when you least expect them to. From my many years of being an osteopath the most common cycling injuries that are presented to us come as a result of incorrect riding posture so thankfully they can be prevented by just taking a step back and assessing your set up. This is really a case of prevention to avoid cure, and although you may be thinking we are doing ourselves out of business by offering these tips, your well-being is our ultimately our up most priority. This is a very common one especially if you ride a racer style road bike. Pain in this region is caused by over extension arching forward. Prolonged periods of over extension will result in muscle strain and joint pain which can cause shooting pain across your neck and even down into your shoulder blades and upper back. Headaches caused by the muscle strain are commonplace and all in will leave you in a lot of pain that will be hard to shift without professional assistance. – Adjust the height of your handlebars until you find the sweet spot to avoid arching forward. – Stretch before long journeys if you are prone to pain in the upper back and neck area. – Schedule in some pit stops on your journey if you need to, don’t cycle through the pain. – Don’t cycle for longer than you have to, Rome wasn’t built in a day, take your time. Again this is most commonly caused by over arching of your spine for extended periods of time. Prolonged pressure on your discs and joints in the lower back will quickly lead to a very painful cycling experience. This is more common in cyclists that ride traditional mountain bikes as opposed to the fully forward racing bikes but the preventative measures are pretty much the same. – Adjust your seat height if you can’t quite find the sweet spot with your handle bar adjustment. Pain in the knees can present itself the more quickly than the above and is the easiest to prevent. It all really boils down to saddle height and if, like many bikes now have as standard, you have a quick release bolt to adjust your saddle height, a few simple tweaks and small test rides will quickly uncover the best ride height for you and your knees. The same tips apply if you are cycling at a gym, the vast majority will have options to adjust your ride position but if the exercise bikes in your gym do not, don’t continue your exercise if you aren’t comfortable. Should our advice have come a little to late or if you have reoccurring pain regardless of your ride height and position, come and see us or call to make a booking and we’ll help reduce your pain levels and offer advice on the best maintenance stretches for you and your situation.